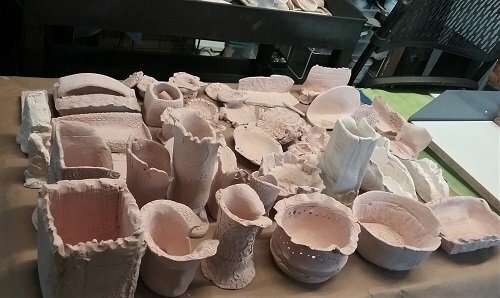 Finally have my pieces ready for the April anagama firing (NHIA-Sharon, NH). I have a nice selection of glazes--a light gray celedon, a satin crackle, a tenmoku, two Shino's, and a white. Most pieces are "Z" a nice light groggy from Sheffield, and a few are Coleman porcelain. I'll have to weed out the too small-too flat pieces and save them for some other opportunity, unless I can get them included as "filler" in this community fire. I have limited shelf space, of course--the equivalent of about 24" x 12". 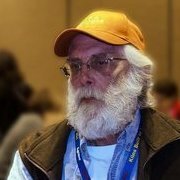 I'll get to see the Community Forum's old buddy John Baymore, which is always a treat! Say hi from us all. I loved the photos John shared of the build then a firing. Good luck with your goodies. Remember to share the results. Coleman porcelain has warped quite a bit in wood fires for me (cone 10-12 with lots of ash). You might want to load fewer porcelain pieces since your space is limited. Hi--I am really wanting to include the squarish (vase) holder and the two very thick pieces next to it (center pic), so I'm gonna chance it. My style is so rough and thick, in my view warping would only enhance them. Babs-- I was a participant in that first firing--it was AWESOME. Due to some limitations, I am not pulling any shifts. I pay extra to opt out, which is permitted on a limited-space basis through the NHIA Community Education Program. And I will convey the "hello from". Thank you Lee what great time you must have had. Lucky you living close to a lively pottery community! Just looking for some input. 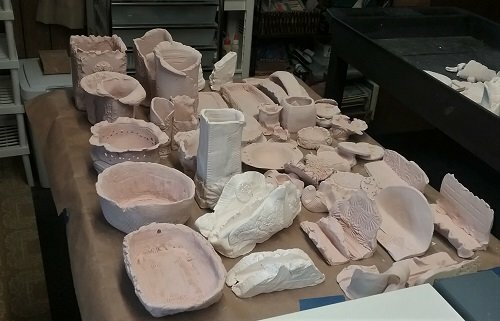 I have a small assortment, in small quantities--not enough to dip--of dipping glazes made at the art center, just for firing in this kiln. I have a light gray celedon, a satin crackle, a tenmoku, two Shino's (a "bright" and Archie's) , and a white. I plan on brushing or sponging 1-2 coats, and only partially cover the pieces that I glaze at all --partially inside and partially outside. Any suggestions for what might be the most interesting combinations, or something I should do, or something to avoid? They will begin loading on Saturday. Thanks in advance. 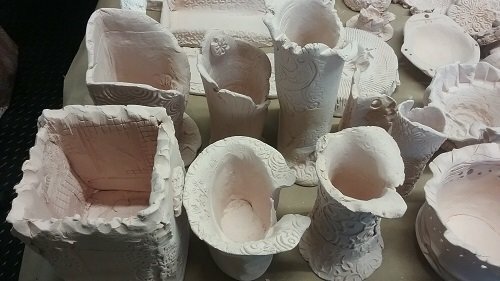 Pics are at the top of this thread-the biggest pieces will be the ones going in, including 3 porcelain, the rest stoneware. Usually one puts the Shino on first before overlapping with another glaze. The results make for a better surface. Check with John or others who work at NHIA for confirmation.